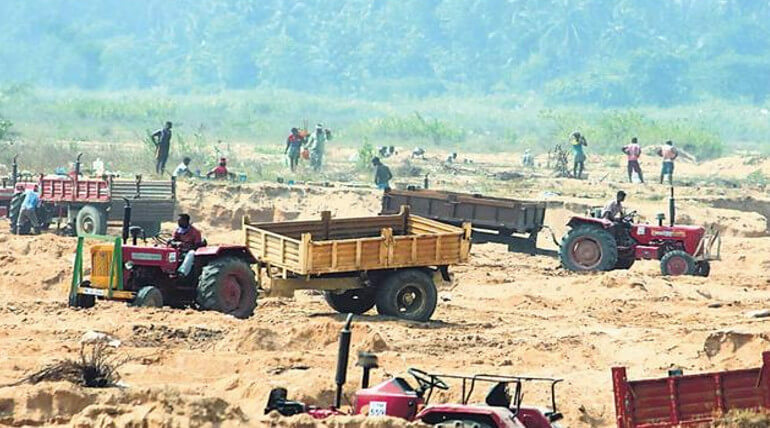 The ban over the sand quarries will be continued: Madurai High Court. On November 29, a division bench of Madras High Court at Madurai had passed an order to TN government to close down all sand quarries for 6 months as an interest over the environment. This order was passed when Ramaiya from Pudhukottai district had appealed to the court for issuing orders to sell out the sand which had been imported from Malaysia. An appeal was made by the TN government against the order of the court. Now the appeal had been rejected by the court and ordered the government to close down all quarries including granite quarries except the jelly stone quarries periodically. The judge also directed the TN government to issue permit for the import of river sand from foreign countries to maintain the need of sand for construction process. The appeal made by the TN government came for hearing today under Judges K.Kalyanasundharam and Krishnavalli after the session they given the judgment to continue the ban over sand quarrying. The Judge had also directed the TN government to maintain strict vigilance on illegal sand quarrying with 24 hours active check points and CCTV cameras in checkpoints all over the state.